Growing up in Delmar, NY, Rachel Forando spent hours in the woods and plucked countless ticks from her skin. But the tick that bit her the summer before ninth grade was different. It was infected with Borrelia burgdorferi, the bacteria that causes Lyme disease. That summer, Forando had a fever every other week. She burned in the sun so easily, her skin blistered. She threw up every day for almost a month. Her fingernails and toenails fell off. After taking antibiotics in July and August, the SUNY New Paltz sophomore’s symptoms gradually began to diminish. While treatment effectively cured Forando, she was still shocked to hear that she might have avoided the disease entirely. There was once a Lyme disease vaccine sold in the US, yanked off the market only after a few years. With 300,000 people in the United States falling ill with Lyme disease every year, according to the Centers for Disease Control, chances are there are others who, like Forando, are unaware a vaccine ever hit pharmaceutical shelves. The drug companies GlaxoSmithKline and Pasteur Merieux Connaught had both developed Lyme disease vaccines in 1998, according to an AP Wire Service article published July 23, 1998. Both vaccines were based on genetically engineered versions of a protein found on the surface of Borrelia burgdorferi and both required three shots and a year’s time to reach their full effectiveness, a Philadelphia Inquirer article reported. In clinical trials, more than 10,000 people between the ages of 15 and 70 who lived in areas where Lyme disease was prevalent were given either three injections of GlaxoSmithKlin’s vaccine, LYMErix, or injections of a placebo vaccine over 12 months. They were then tested periodically for signs of infection. Only 13 people who were vaccinated came down with Lyme disease, compared to 61 of those who received the placebo vaccine, showing the vaccine to be 79 percent effective, according to a Philadelphia Inquirer article published in 1998. Pasteur Merieux Connaught’s Lyme vaccine, Imulyme, proved even more effective. In trials of Imulyme, 3 doses of the vaccine, given to 10,306 people from ages 18 to 92, was reported to be 92 percent effective according to the same Philadelphia Inquirer article published in 1998. In addition, the vaccine was tested on and proven effective in children as well, unlike LYMErix, which was not tested on children. There were several limitations to the LYMErix vaccine that stood in the way of its success. The process of achieving full protection was fairly lengthy compared to other vaccines. The measles, mumps and rubella vaccine, for example, required a month and a single shot to provide protection, according to Immunize.org . LYMErix required an initial dose, a second dose a month later, and a third dose 11 months after that. Patients who only received two doses were only 50 percent protected against Lyme disease, a PR Newswire press release reported. The time-frame was a blow in the LYMErix campaign. But that wasn’t all. The vaccine was never tested in children, a population at high risk of developing Lyme disease. The vaccine was only proven effective against the predominant North American strain of Borrelia, not the many international subspecies of the strain, according to the The US National Library of Medicine. And it was marketed directly to patients, rather than physicians, which Ostfeld considers “quite unusual” for a vaccine. “Marketing for physicians within specific geographic regions, like the Northeast, mid-Atlantic, and Upper Midwest, would be more effective,” he said. 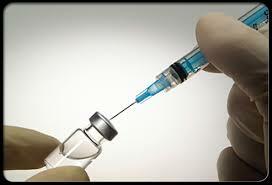 Nevertheless, hundreds of thousands of people were vaccinated with LYMErix. In 1999, GlaxoSmithKline earned $40 million in sales from the vaccine. LYMErix’s plummet from grace began when in 1998, vaccinated people started to claim that they’d suffered harmful side effects from the shots, primarily arthritis. Dr. Allen Steere, who had directed clinical trials of LYMErix, had reported that some patients reported joint pain after being vaccinated earlier, shortly after clinical trials started. “A small percentage of patients have developed joint pain and arthritis following vaccination,” Dr. Steere wrote in a letter to the National Institutes of Health Researchers from both the drug agency and the disease-control centers. According to Steere, the vaccine could “set off an autoimmune reaction in which the body’s immune system attacks its own tissue,” causing treatment-resistant arthritis, as the New York Times put it in a 2000 article. Some Lyme disease activists thought that the vaccine could actually cause the disease, rather than prevent it. The FDA and CDC launched an investigation into reports of arthritis or other symptoms of Lyme disease after vaccination, in Delaware, New Jersey, Pennsylvania, Connecticut, New York, Massachusetts and Wisconsin, the New York Times reported. In 1999, about 350 people who claimed the vaccination’s side effects made them ill sued GlaxoSmithKline for damages in a class-action lawsuit, according to a 2002 Philadelphia Inquirer article. The plaintiffs hoped to force GlaxoSmithKline to warn doctors and patients of the vaccine’s risks, especially for those genetically predisposed to autoimmune arthritis and who have been infected with Lyme before. In 2002, GlaxoSmithKline withdrew the vaccine from the market, blaming financial factors. “The demand for Lymerix is simply not there,” spokeswoman Ramona Dubose said in a New York Times article. However, the Centers for Disease Control and Prevention recently reviewed 905 cases of possible “adverse” reactions reported to the government between December 1998 and July 2000 and found no proof the medicine caused arthritis or other side effects, the Inquirer article reported. Are Lyme vaccines a good idea? Many experts would consider a safe and effective Lyme disease vaccine “essential,” Ostfeld says. But there are questions as to whether such a vaccine would do more harm than good. For example, such vaccines could change the way people view tick bites—for the worse. Regardless, Foranda said she would have most likely tried out the Lymerix vaccine if presented with the opportunity.